Less than 2 hours away from Charlotte you'll find fun for the entire family! 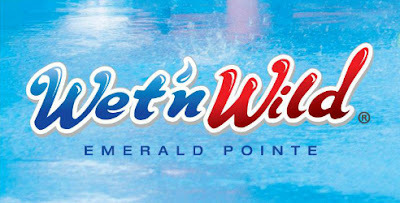 Wet N Wild Emerald Pointe is located in Greensboro NC. It is the largest water park in both the Carolinas and is THE place to cool off, get sun and have fun. With more than 36 rides and attractions, there's something for everyone…from mild to wild…from tots to seniors. 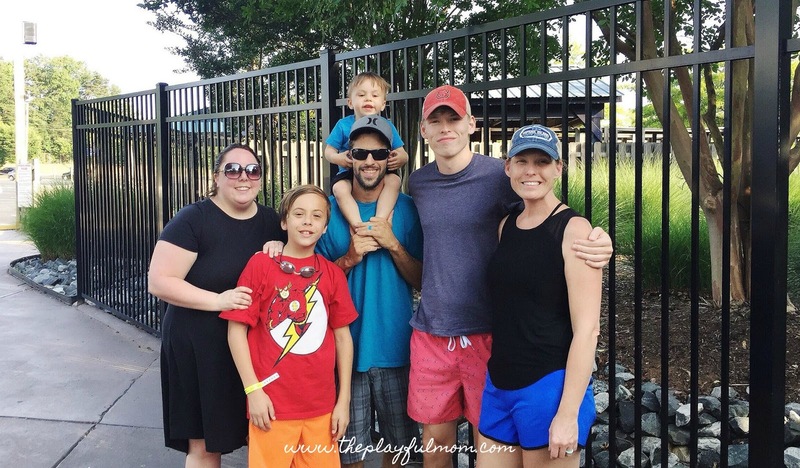 It is family friendly, and the young kids (mom and dad, too) will have a great time in Splash Island and Happy Harbor, the two large children's areas. Dare to ride that slides that made them famous, such as Daredevil Drop and their newest addition, Dr. Von Dark's Tunnel of Terror. After exploring the 5 million gallons of water fun, kick back and relax at Leisure Lagoon or take a gentle float down the Lazee River. Yes, I know what you're saying, "we have a waterpark right here locally." And I thought the same thing when I was invited out with my family. But let me tell you, this park is totally different! How? Well, I'm glad you asked. This park isn't trying to be anything BUT a waterpark. Isn't there a saying somewhere, if there's something you're good at to focus on it and do it well? That's exactly what they've done! The parking lot is close and you won't walk far to make it to the parks entrance. The parking lot was the perfect place to lather our littles up with sunscreen and pack up the stroller. As soon as you get out of your car you see that they've considered everything you might want. When you get to the sidewalk there is a place to your left, with several picnic benches, where you can eat lunch if you packed it. 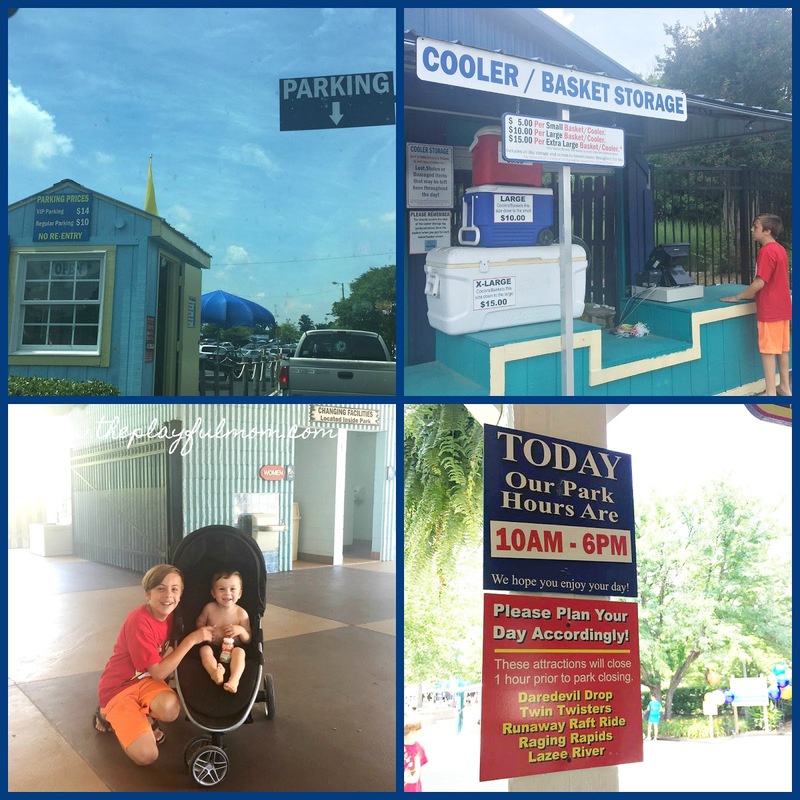 Take a few more steps and you'll find the cooler/basket storage building. This is where for $5-$15, depending on the size, you can store your cooler. You can fill a cooler to the brim with snacks, drinks and lunch for the whole family and pay a fee to store it right outside of the entrance. You can't bring coolers into the park so I thought this was a cool concept to save you from spending money on food inside. Another thing I loved right before you walked into the park they have a sign that shows the time the park closes that day and what rides will be closing early. I appreciated that because it was right in my face when I walked in and not stuffed in a map that I may never even look at. Once inside you have so much to choose from so we decided to start at our cabana and get everything in order, our valuables locked up and then we planned our day! 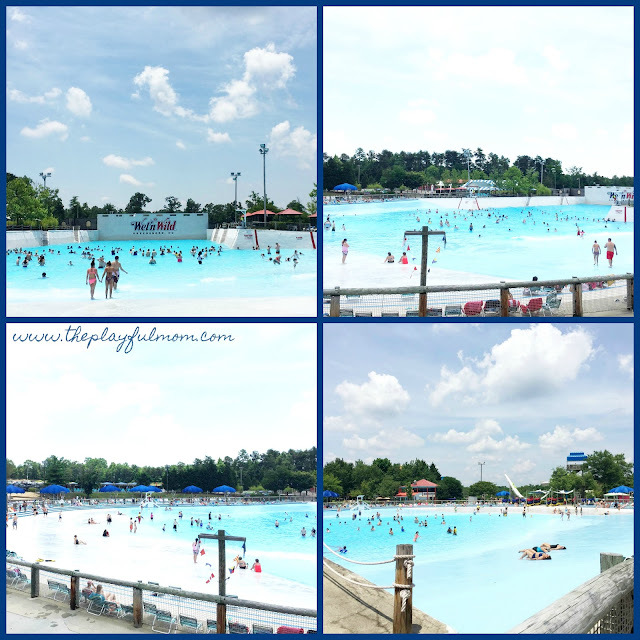 We started out at the wave pool which was WAY more intense than the ones I've experienced other places. It was too much for me and my two year old but my 12 year old and husband loved it! My two year old and I headed to the lagoon and really enjoyed just swimming around in a shallow pool, this is one feature I really appreciated. A pool, nothing fancy, but a place for me to play with my little one and still be submerged in water. They actually had a few of these to choose from! The cabana was nice, it's really great for larger families with older family members or little ones that may need a cool place to nap. If a cabana isn't in your budget, there's plenty of shaded places in the park and I was always able to find a free chair! There's a large bathhouse to your right when you come in the park, and that's where you can change and get a locker. Next time we will probably do that instead of a cabana. All in all we had a fabulous day. 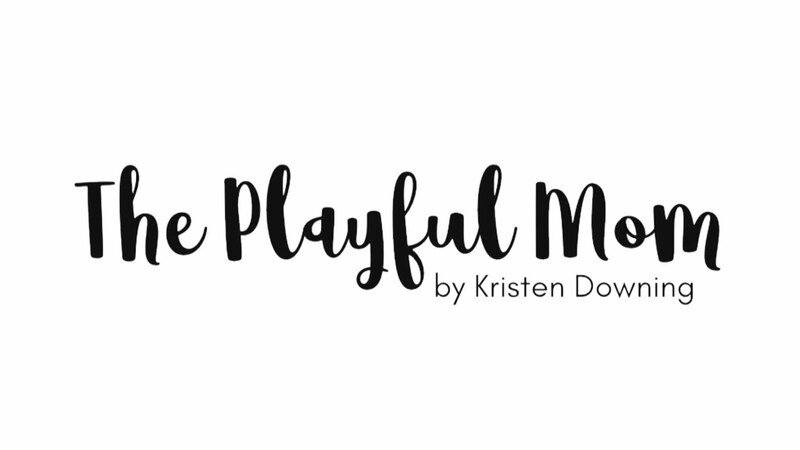 If you're looking for something fun to do for the day that covers everyone in your family, this is it! We brought our nephew who is a freshman in College and from him all the way down to our JUST turned 2 year old, everyone had a blast! 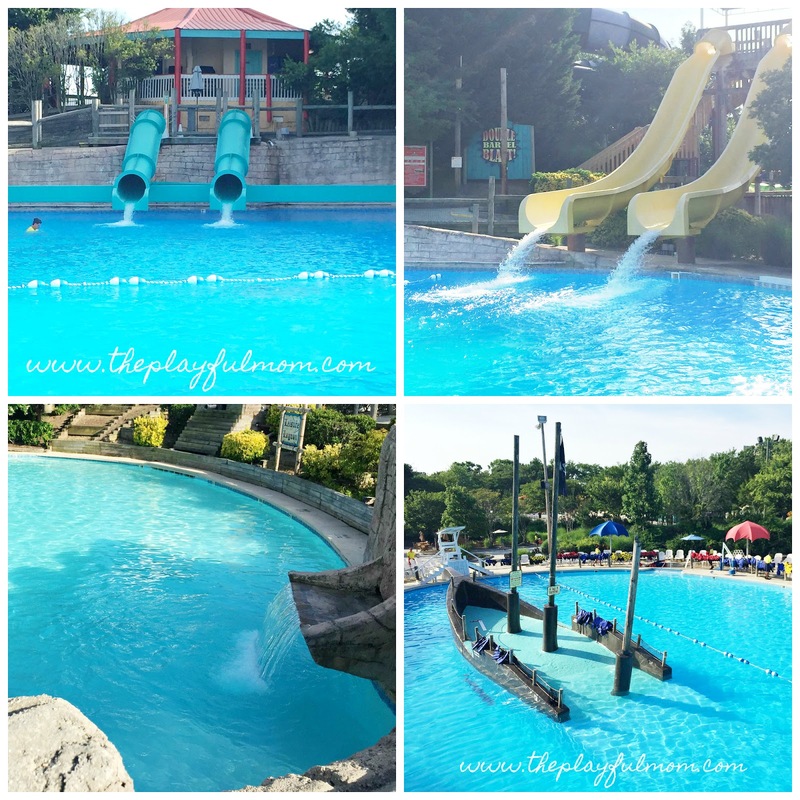 I feel like the waterpark closest to us is much more geared towards older patrons and thrill seekers where I feel this park really does have something for everyone! I wish we would have had more time to visit the slides because looking at the map now I'm wishing I would have hit up the runaway raft ride and the double barrel blast. 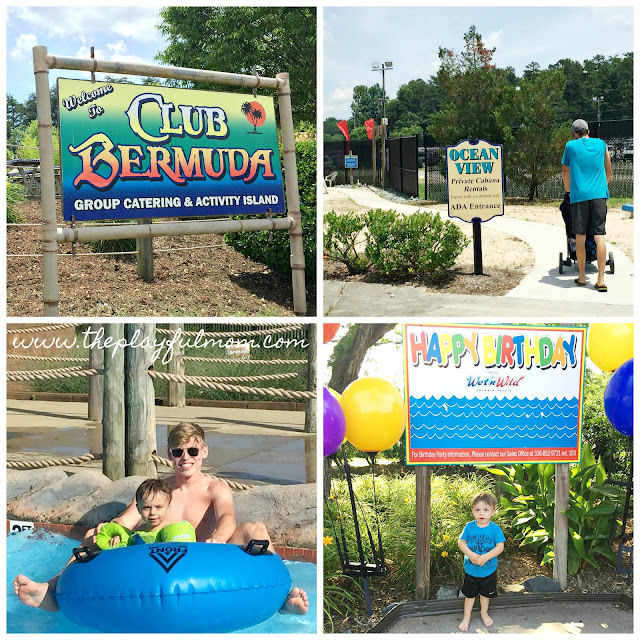 Just for being one of my awesome readers, you and your family get a discount to try Wet N Wild Emerald Pointe in Greensboro at a discounted rate! The promo code is BLOGGER18.